Everybody works at ROOTS Week! Whether you’re coming to ROOTS Week for the first time or are a founding member, there is a place for you to contribute your genius and energy. By working together, we can keep costs low, build community, and live out our values of sharing labor fairly. The vision is that everyone works at least one shift over the course of the week. Year after year, ROOTS members say that their experiences working together are some of the most important parts of ROOTS Week. Let’s make this year delightful together! Please browse the Work Co-op descriptions below. When you register, you’ll be asked to list your top two choices for a Work Co-op team assignment, and we’ll do our best to make one of those happen for you. Each team has a Coordinator who will guide and inspire each team. No advanced training needed. ROOTS 101 Team – Did you know that almost half of all attendees at ROOTS Week will be coming for the first time? This team will help those folks get hip to the ROOTS vocabulary (what is a Rhizome? ), navigate the opportunities offered at ROOTS Week, connect with existing members, and find ways to share each attendee’s art and skills with the ROOTS family. If you’ve been a member for a long time, if you feel passionately about how precious ROOTS is, then this team is for you. We need Co-presenters for sessions as well as Trail Guides to guide cohorts of first-time attendees through the week. Hospitality Team – If you get an energy buzz from meeting new people and making connections, this is a great job for you. We need folks to assist with registration, welcome new members, host mixers, and drive golf carts. Coffee Specialist: One of the most important jobs at ROOTS Week is ensuring that coffee is ready every morning and following meals throughout the day. We will teach you how to use the industrial-sized coffee maker. A love of coffee helpful, though not required. Golf Cart Drivers: Some folks at ROOTS Week will need a lift getting from one place to another. Golf Cart drivers help us fill this need. An especially good job for safe and friendly drivers. Sunday Pack Up: Pack away the supplies from meeting spaces around the campus, and help pack the vans so the ROOTS staff can hit the road and get back home to Atlanta. Green Team – Are you passionate about sustainable systems? Help us ensure that ROOTS Week lives lighter on the earth by using green practices wherever possible. The Green Team will work to raise environmental awareness among ROOTS Week attendees. Performance Technical Assistant: Working with the technical director, the technical assistant serves as support for light, sound, and projection needs for performers. Technical experience preferred but not necessary. Late Night / Open Mic Assistant: This position is for the night owls. Offers technical support to the late night tech director working with sound and lighting equipment. Will assist in set-up for late night. Accessibility Team – Duties include ensuring that accessibility needs of ROOTS Week participants are being met throughout the event. The team will support participants that have communicated to ROOTS that they are in need of additional support (such as golf cart transportation, meal delivery, etc.). Visual Art Set-Up Team – Are you a visual art lover / maker / supporter? Join this team and assist visual artists in set-up and display of their materials. Must be available to help take things down on Sunday. Youth Team – Are you an ally for young people? Are you knowledgeable of the history of youth movements as the source of social change? We need folks to support the Youth Village (ages 5-13) activities and possibly design and lead some of their own activities in collaboration with the Youth Coordinator. Documentation Team – Are you a great with a camera or audio recorder? Do you have a sharp eye for photo-worthy moments or love taking notes? Is posting to Facebook, Twitter, Instagram, etc. second nature to you? Join the documentation team and help us tell the story of this ROOTS Week in the moment, and for years to come. 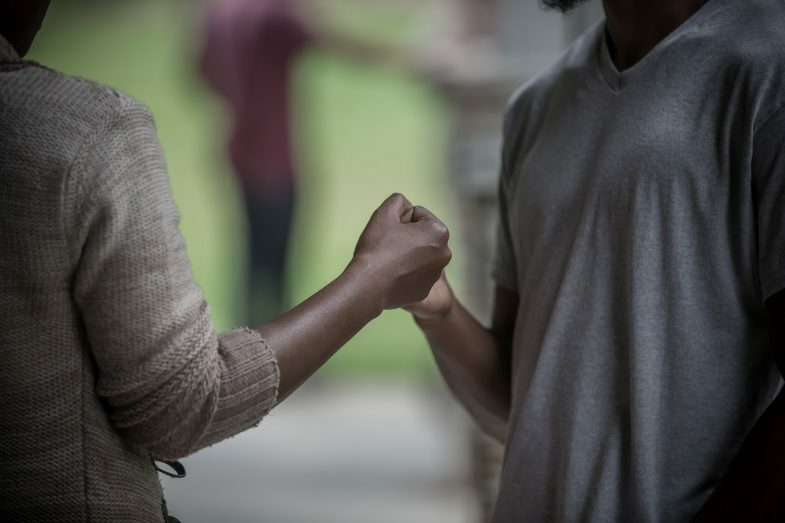 Health and Wellness Team – The Health and Wellness team will support ROOTS Week participants dealing with the experience of ROOTS Week, UpROOTing Oppressions sessions, and the inevitable difficult moments that take place during the week. This Team will hold space, and encourage healthy practices for self care for attendees.